The LK-G5000 is a laser triangulation sensor that calculates distance to its target using a CMOS chip and a known angle. Why is sampling speed important? Sampling speed is a critical component for accurately capturing a target’s motion. 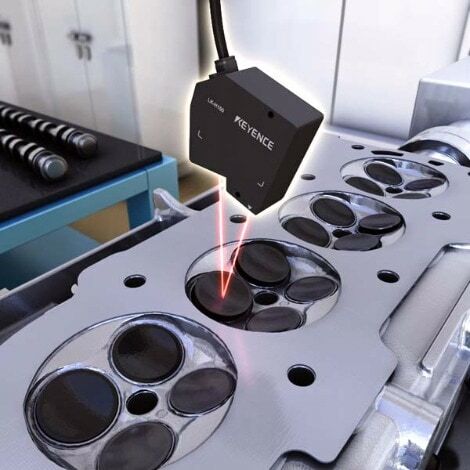 When measuring a part vibrating at 2kHz, more data points can be collected per cycle at higher sampling speeds. This results in a more accurate curve. What types of targets can be measured? The sensor uses advanced optics to get stable readings from virtually any surface including rubber, metal, and transparent targets.